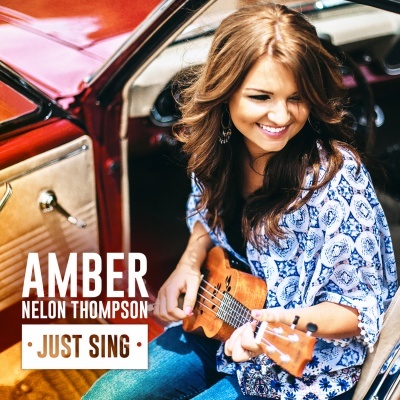 Since delivering such a poignant and powerful debut EP in 2014, I’ve long since awaited for something new from country/southern gospel singer/songwriter Amber Nelon Thompson. And as I wrote in my previous review for the EP, rarely do I actively listen to music outside my comfort zone of CCM- in fact, dare I go to say, that everyone who has their preferred genre of music rarely listens to anything outside of that. Amber Nelon Thompson from the vocal group The Nelons expanded my view musically as I listened to the genre of southern gospel, something that I probably wouldn’t have listened to on my own accord if it wasn’t from a link of a link on iTunes around a year ago. With vocal and stylistic similarities to artists like Jason Crabb, country/CCM triplets Red Roots and 90s and 2000s powerhouse vocal group Avalon; Amber has delivered a stellar 10 track album, and one sure worth the year wait. With a southern gospel flavour undertone throughout the album, this album is sure to expand your musical horizon, regardless of your preferred genre. Not necessarily your typical radio-friendly material (in a good way), Amber’s soaring vocals and encouragements throughout the songs makes Just Sing, alongside Kevin Max’s album Broken Temples, my favourite albums by indie artists in 2015 so far! Current radio single, Amber’s duet with 1980s CCM/pop legend Michael English on a song equally as prolific and poignant, “Another Time, Another Place” is a formidable song to cover, especially when the original was sung by Sandi Patty and Wayne Watson, both of them inspiring in their own right back in the day. With the song reminding us to always look toward heaven as we continuously long for ‘…another time and another place, where all my hopes and dreams will be captured with one look at Jesus’s face…’, Amber and Michael deliver a near-perfect performance as a song like this and its timelessness is a reminder than a song is much bigger and impacting than a person singing it. “Sing-A-Long” is a happy-go-lucky song that you can sing along to when you’re in your car on long drives as Amber utilises the ukulele to present a theme of us being joyful and happy no matter what circumstance we find ourselves in. In a similar vein musically to “Who Says” by Karyn Williams, Amber delivers a more subdued song as the first track, and continues to present powerful encouragements through hymn “Be Thou My Vision”, a re-recording that sounds musically safe and reliable, while also emotive, encouraging and poignant; “Give It to Jesus”, a 3 minute radio friendly country-style melody that encourages us to ‘…give it to Jesus, call on His name, it’s time to lay down Your struggles, He’s just a prayer away…’; “He’s Making Me”, a song where electric guitars and Amber’s vocals shine with a theme of us being moulded and made by God through circumstances into the men and women He has created for us from the beginning of time; and “God is Always Good”, another piano ballad that discusses the theme of goodness of God- a trait that will never change in spite of what we believe in light of what is around us. While it may still take some time getting used to southern gospel when I’ve grown up listening to CCM, Amber Nelon Thompson’s first full-length album is great, powerful, encouraging, and every other positive descriptor I can think of. Boasting a CCM-esque musical backdrop in “Falling”, to hopefully bring in listeners who enjoy CCM that’ll hopefully react positively to southern gospel (people like myself), along with the piano led “God is Always Good”, “Give It to Jesus” and “Without Your Love”, and the country atmosphere of “Grateful”; Amber’s powerful vocals, alone ought to be enough to warrant at least a listen to from start to finish. Amber’s start as a solo artist is nothing less than promising. Well done Amber for these 10 songs. Cannot wait for another album whenever it releases…maybe next year? 3 songs to listen to: Falling, Give It to Jesus, What Do You Say? Jon, there is a major reason I love reading reviews on this site and that is the fact that God has blessed you and Josh with a gift of preparing the reader of these reviews with a hunger to listen to the songs being reviewed before they are heard. The albums/songs are so beautifully reviewed that most of the time, I follow your suggestions to listen to them. When I read this review, I knew I had to listen to this album(Just Sing) and when I did, I had no regrets. Thank you very much and keep on doing what you do best. thanks for the compliment, Mercy. It’s much appreciated. Glad you enjoyed listening to the album. Btw, any favourite tracks? “Falling”, “What Do You Say” and “Give It To Jesus” are pretty good. Yes Jon, my favorite tracks are Without Your Love, What Do You Say, He’s Making Me and Falling.